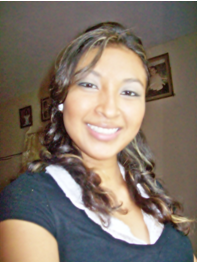 Cinthia Sagrario Interian Varguez was 21 years old when she became a GOJoven Fellow. She was selected to be a Fellow while studying Language and Culture at the Intercultural Mayan University of Quintana Roo. She has since received her Master’s degree in Natural Resources and Rural Development. Cinthia has extensive community mobilization experience, including facilitating community meetings, program development and implementation, and conflict resolution. She brings experience counseling youth on various SRH topics, including gender violence prevention, addiction and personal development. Cinthia was previously selected to participate in a regional Latin American youth congress, Espacio 2010, which focused on identifying and coming up possible solutions to the social issues young people in the region. 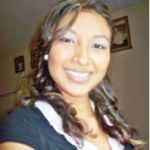 Currently, Cinthia works for the Secretary of Education and Culture as a teacher.